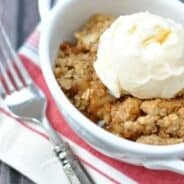 Hot Apple Crumble with a big scoop of Ice Cream is a delicious treat! Serve this for an American summer holiday, or for a cold winter’s dessert. 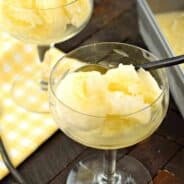 I’ve been looking forward to sharing this recipe with you all for quite some time. My oldest daughter’s birthday was in January and instead of cake and ice cream she wanted an Apple Pie. Sadly, I am very pie crust challenged, so I had suggested an Apple Crumble instead. She said as long as it’s served hot with ice cream she would love it. When I posted it on instagram, I realized I had never shared the recipe on the blog. Shame on me. Hoarding this delicious crumble all for myself. Then earlier this summer I shared this Blueberry Lime Crumble…and again realized I’ve yet shared my apple version. Well friends. Today is the day. The wait is over. It’s here it’s here!!! I hope you will all forgive me for waiting so long. 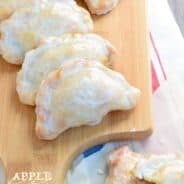 But when I realized I would be partnering with Crunch Pak apples this year to bring you delicious apple goodies, I wanted to save this recipe to be the first! And of course I had to make it with Crunch Pak apples. I wanted to show you guys (tell you?) how easy it is to bake with Crunch Pak. I know many of you may think of Crunch Pak as your kids’ snack….or a lunch box treat….but it can be so much more! 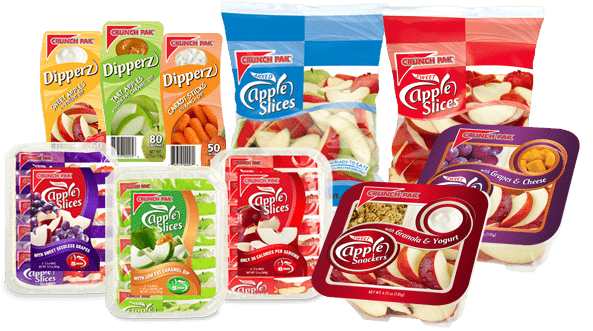 Crunch Pak sells bigger bags of sliced apples, perfect for Apple Nachos, or baking today’s crumble! Because they are already sliced, I left the peel on for today’s treat. They bake so soft with the crunchy crumble that you won’t even notice. Plus, duh, that makes this recipe even easier! In a large bowl, combine diced apples with lemon juice, sugars, cinnamon and flour. Pour into a 2qt baking dish. In a separate bowl, combine crumble ingredients. Use hands to combine butter until crumbly (this takes a few minutes). Sprinkle over top of apple mixtures. Press lightly. Bake in a 375 degree oven for 45-50 minutes, until bubbly and caramelized. Enjoy warm with a scoop of ice cream! 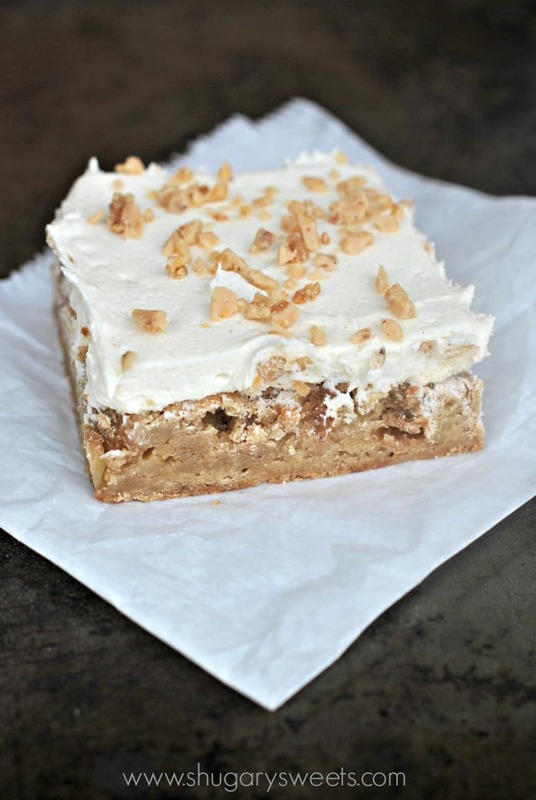 Apple Blondies with Caramel Buttercream: these are truly one of my most favorite recipes on the blog!! 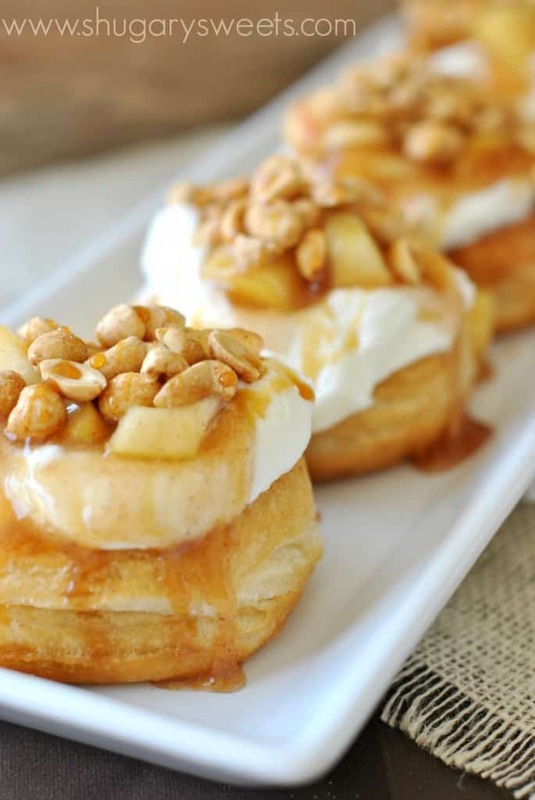 Apple Pie Doughnuts: easy donuts made with biscuits! 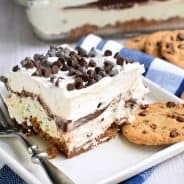 Serve for breakfast or a delicious dessert idea for a group! 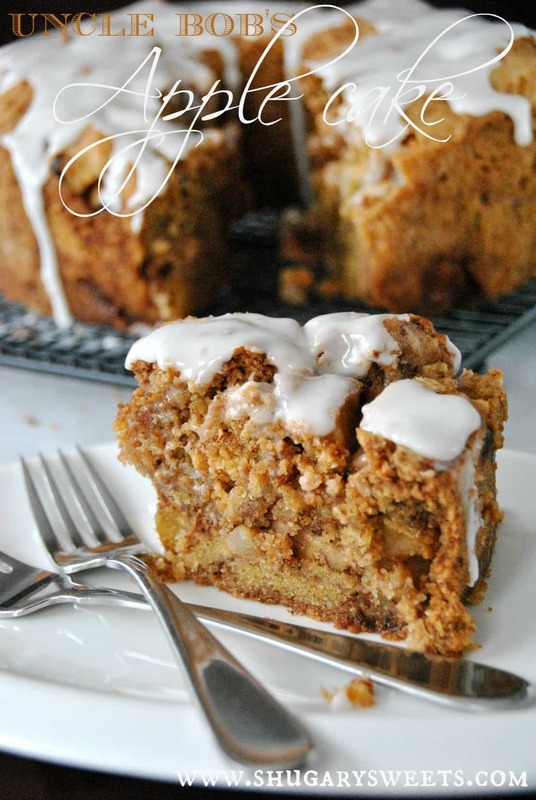 Uncle Bob’s Apple Cake: such a moist, delicious dessert topped with a honey glaze! This looks absolutely amazing. Especially topped with the ice cream…. I can just taste it! SO YUM! 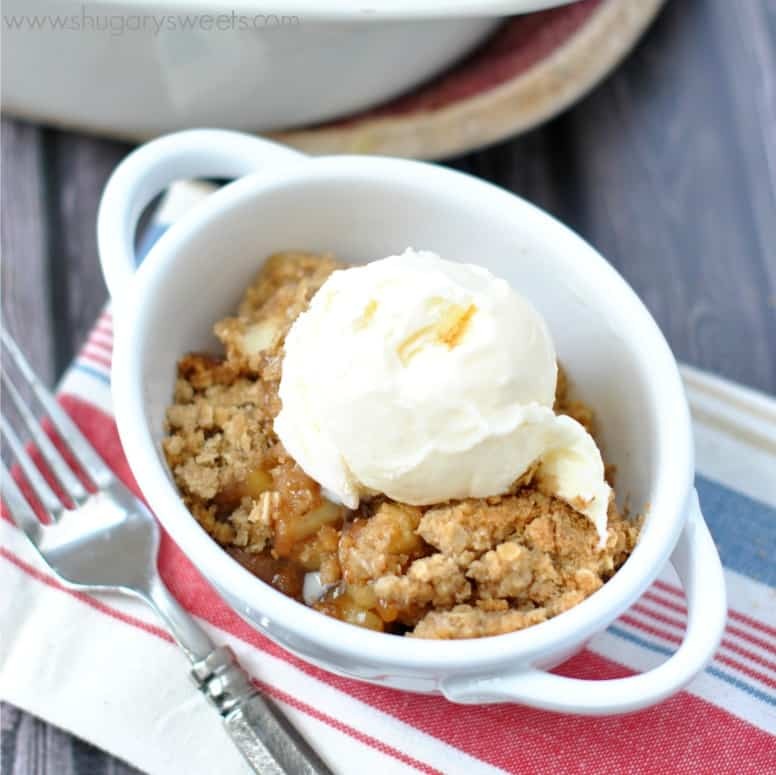 Apple crumble is seriously one of my all time favorite desserts — LOVE this!! I love how your daughter went out of the norm for birthday cake! This sounds like the perfect alternative! I’m with your daughter – if it’s warm and served with ice cream, count me in! Right?? Nothing to complain about with this choice! Your daughter is awesome. I love how she knows what she wants! No peeling makes this especially appealing. Ooh, that rhymed! It looks great! I have been really craving a good crumble lately but didn’t know which kind to make. An apple crumble might just be what I am looking for 🙂 This looks so amazing. I’ve got a delicious blueberry lime crumble on the blog too, but apple is always my first choice! Your daughter has good taste! I used to always ask for apple pie for my birthday! I definitely would have been happy with some of this crumble! Haha, that’s funny that you asked for pie too! Apple crumble is pretty much my all time favorite dessert. It even gets ranks higher than anything chocolate. There’s something about a crumb topping that just can’t be beat! Yeah, the topping is *almost* the best part. I like that you chose to use lemon and light brown sugar. really adds to the flavor! 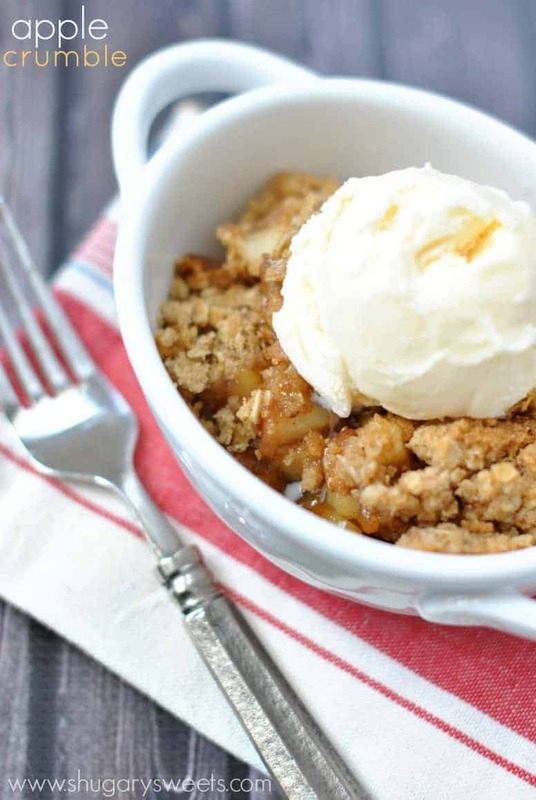 dont think you can ever go wrong with a good apple crumble, so craving a bowl right now… yum! It’s getting to be that time of year. Love apple season. The kids are already bugging me to buy apples. DeLish! We always have a bag of the Crunch Pak Organic Apples in our fridge – they’re are favorite grab and go snack. This crumble looks like a mighty fine snack as well. I’m SO IN LOVE. 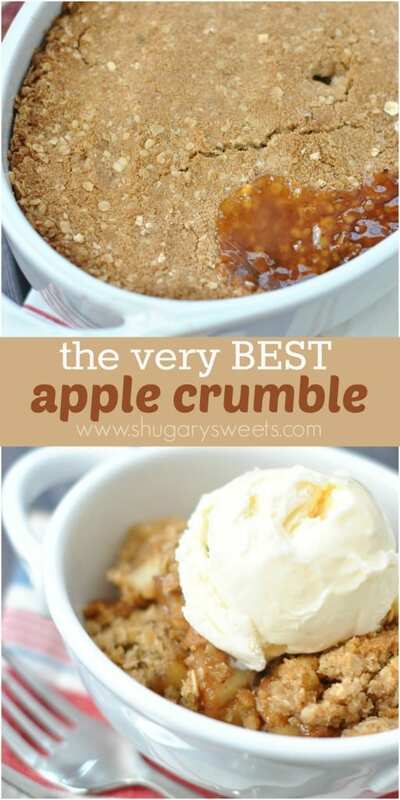 This is the best crumble ever! Where I s the recipe for zucchini crumble in th u s article? Sounds good and perfect for my low potassium diet. This is the best and easiest Crumble recipe. 5 stars!